[CUUSOO] Ghostbusters hits 10k... again! Frankly, I like these figures better. Can't wait to see the results! And now it's hit the mark! TLG's CUUSOO team will get a double dose of Ghostbusters next review. Not to mention that there's a slew of other Ghostbusters projects on CUUSOO. I'd guess these two proposals only took as long as they did to get to 10,000 because they were competing against each other as well as against all those other GB proposals. I'm sure there are plenty of people who've chosen to support more than one of them, or even all of them, but undoubtedly there are also plenty who've voted for just one. I suspect the total number of CUUSOO voters who've voted for at least one Ghostbusters project is quite a bit higher than 10,000, though only TLG's CUUSOO team can really know for sure. Yeah i voted for both of the projects. Now let's hope that TLG decides to make a decent set out of both projects. The set doesn't need the ghostbusters office imo, but definitely the Ectomobile, the characters and slimer (Rotta the son of Jabba works pretty well). 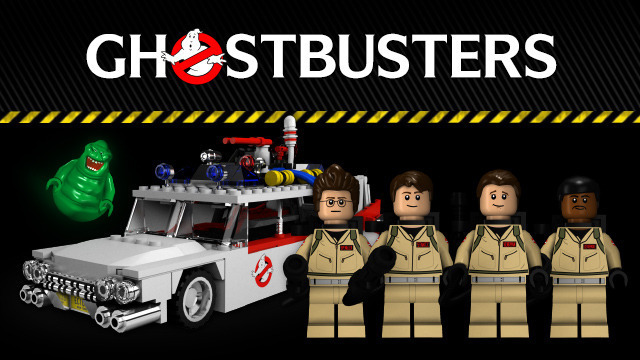 Part of me wonders if Lego will get with both groups and negotiate the design of the Ecto-1 and the minifigs (Which I agree, do look a little better here). 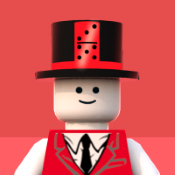 Design isn't too bad either, but I like the other design a little more. That's why I say both groups could collaborate with Lego and have these similar minifigs and use the best of both designs to make a great set. Slimer, as iconic as he is, isn't completely needed here, since most of us could make ghosts to bust (I myself have tried making the Scoleri Bros. in purist form). But yeah, props to these guys.